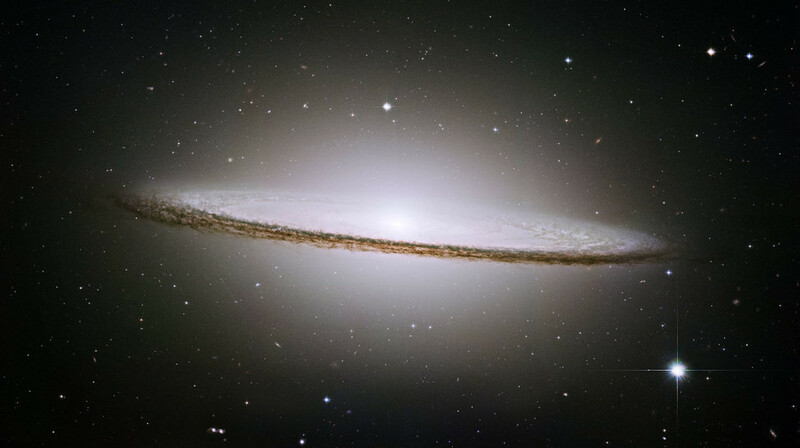 The Sombrero Galaxy, also known as Messier 104 (M104), is a famous unbarred spiral galaxy located in the southern skies. The galaxy lies at a distance of 29.3 million light years from Earth in the direction of the constellation Virgo. Its designation in the New General Catalogue is NGC 4594.